Concours of Elegance and Bridge of Weir Leather Company have partnered up once again to launch a brand new ‘Cars of our Years’ feature, celebrating the important connection between man and machine. Notable friends of the Concours and Bridge of Weir, including Aston Martin President and CEO Dr. Andy Palmer, Senior Vice President of Geely Design, Peter Horbury, Jaguar Land Rover’s Design Studio Director, Wayne Burgess and Director of Design at Rolls-Royce Giles Taylor, will each pick a car from their lifetime that has made the strongest emotional impact. Each week the ‘Cars of our Years’ campaign will hear from a different automotive expert, and their story will be told on the Concours of Elegance website (www.concoursofelegance.co.uk) and social media channels. A selection of the cars will be displayed at Hampton Court Palace for the Concours of Elegance 2017, and the panel of famous industry faces will be appearing on the new live stage over the course of the weekend telling their stories. The new Bridge of Weir ‘Cars of our Years’ display is just one part of the biggest Concours of Elegance event yet. More than 1000 vehicles from the world’s most iconic brands will join the celebrations at Hampton Court Palace from 1-3 September, spanning the whole history of the automobile, from 1896 to the modern day. Bridge of Weir has been in the business of manufacturing leather for the automotive industry since 1905, supplying to many of the most iconic manufacturers, including Aston Martin, Ford, Jaguar Land Rover, McLaren, Volvo and many others. 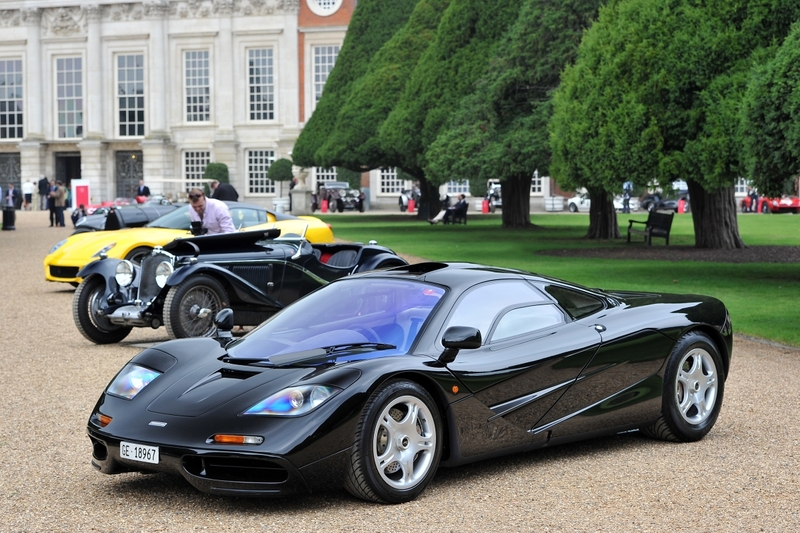 Adult tickets for this year’s Concours of Elegance start from just £25, with concessions from £17.50. Children under five and carers can enter free of charge. Members of the public also have the opportunity to attend on Friday 1st September, a day normally reserved for the Owners of the main Concours cars.